The sacred or falling sickness was always unnameable when it struck a female. 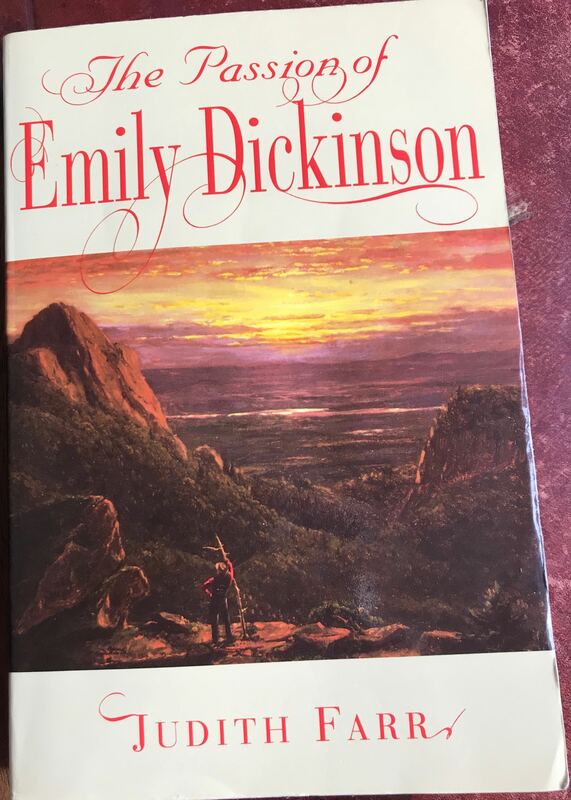 So far in the sequence we have seen authors attribute Emily Dickinson’s withdrawal from society as an agoraphobic reaction to patriarchy (The Mad Woman in the Attic) or as a response to the intense pain of forbidden love (The Passion of Emily Dickinson). 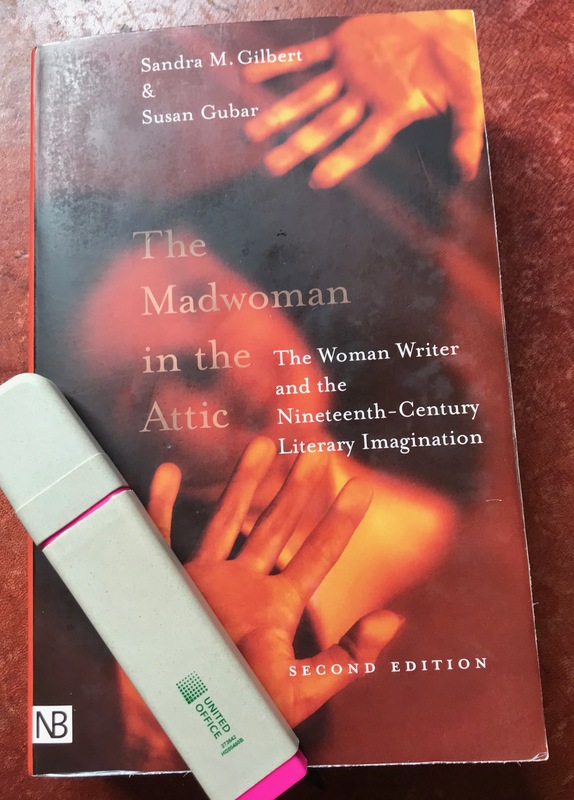 Is there an elephant in the room here that no one thought to mention until Lyndall Gordon came along in 2010 with her explosive potential myth-shaker, Lives like Loaded Guns. If this, at least in part, is what was secret, the conditions of Dickinson‘s life make sense: sickness is a more sensible reason for seclusion than disappointed love. A seizure can happen with little warning: about a minute. Too short a time to take cover. This is why those who keep the condition secret would fear to go out, even to join callers in the parlour.… What seemed eccentric was simply dread. Where else does she look for evidence to support this theory? Dr Jackson’s authority would have weighed with Mr Dickinson, who agreed to relieve his daughter of the household tasks and empty social gatherings she loathed. . . He indulged the priority she wished to give to poetry and promoted mild exertion in the fresh air: daily walks with her dog Carlo… and her taste for gardening. 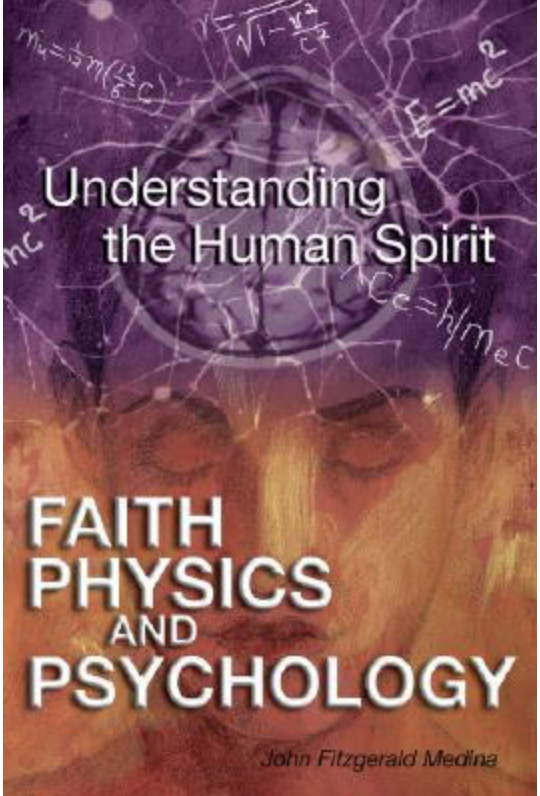 There is only one piece of tangible piece of evidence within her grasp (page 121) and it concerns the prescription he made out which has almost miraculously survived. Gordon feels this piece of paper ‘is a crucial clue to Dr Jackson‘s diagnosis. What he prescribed was half an ounce of glycerine diluted with two and a half ounces of water.’ She accepts that glycerine had many uses. However, one of the medical uses in Dickinson’s day was indeed for epilepsy, even though in today’s terms its past efficacy is seen (page 122) basically as a placebo. Apparently, Emily Dickinson used the prescription until 1853 with diminishing confidence. What reasons do we have apart from the indirect hints in the poems and the possibly reputation-protecting seclusion, to justify thinking that glycerine was not being prescribed for something else other than epilepsy? This explanation differs from Farr’s view that it was the putting to bed of the pain of her two unfulfilled romantic attachments, one to Sue, her sister-in-law, and the other to the Master, that led to the decline in her creativity. 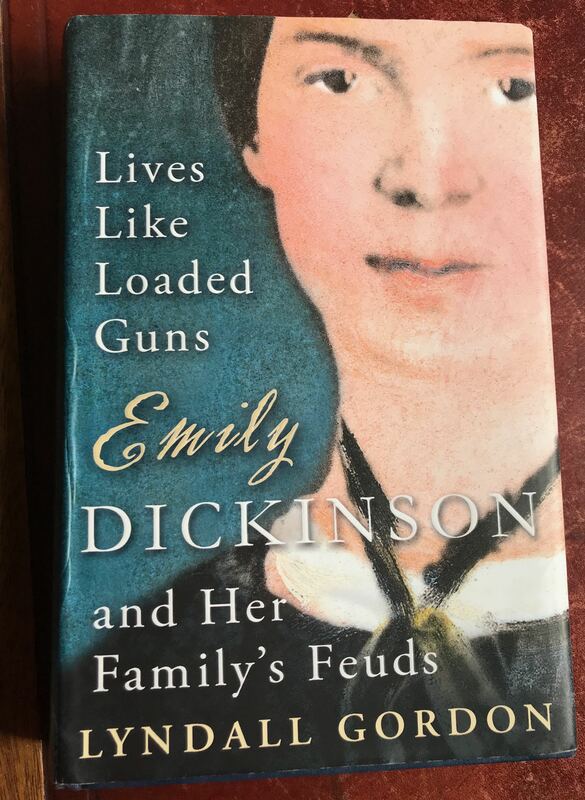 It also discounts the correlation we will be discussing between her peak creativity and the American Civil War described in A Historical Guide to Emily Dickinson. However, the three possible explanations may be complementary rather than contradictory. All the factors could well have played a part. She goes on to adduce evidence for their being two other members of the Dickinson family with epilepsy (page 132-138). As epilepsy has a ‘genetic component’ this perhaps strengthens her case. I have come away persuaded that Gordon is right to raise the possibility of epilepsy, though conclusive proof will probably remain indefinitely elusive. Some are already hotly contesting the theory. For example, Hirschhorn et al. in Perspect Biol Med. (2013) consider they have refuted Gordon’s claims on ‘scientific, clinical, and biographical grounds.’ Time will tell. 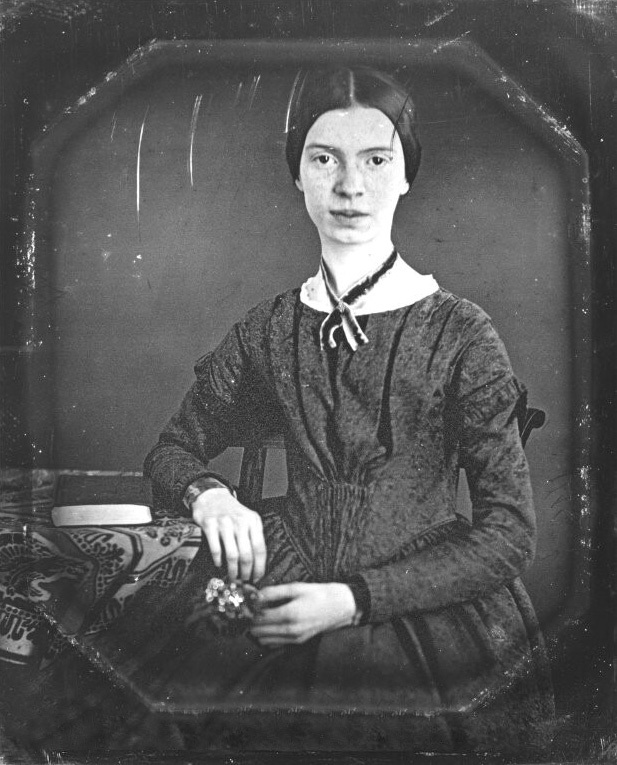 Either way, the theory does not diminish the relevance of patriarchy, thwarted romance and the Civil War as other factors contributing to Dickinson’s power as a poet and her pain as an isolated human being. Rather it may enrich our understanding both of the possible source of the spiritually loaded poems, given, for example, the possibility of quasi-mystical states being induced by an epileptic fit, and of those particular poems that might have inspired directly by her more disturbing experiences of the fits themselves. I think this is one of those cases where biographical details can remove rather than create a veil between the reader and a full understanding of a poem. Fathers (sic) real life and mine sometimes come into collision, but as yet, escape unhurt! [A]fter tea I went to see Sue – had a nice little visit with her – then went to see Emily Fowler, and arrived home at 9 – found Father in great agitation at my protracted stay – and mother and Vinny [her sister] in tears, for fear that he would kill me. 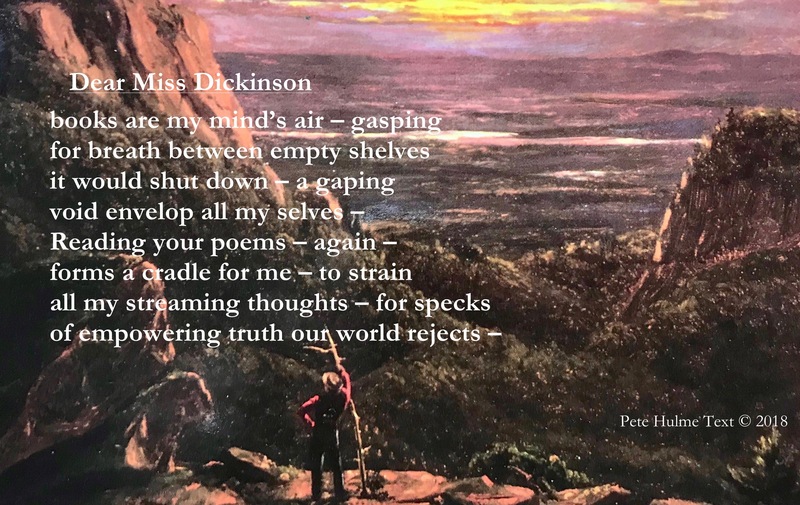 In the end, in terms of the basic tenor of this sequence of posts, notwithstanding the likely contribution made to her isolation and pain by patriarchy, cultural and personal, and by a possible anxiety problem, for me the epilepsy theory added a layer of richness to my understanding of her poetry. 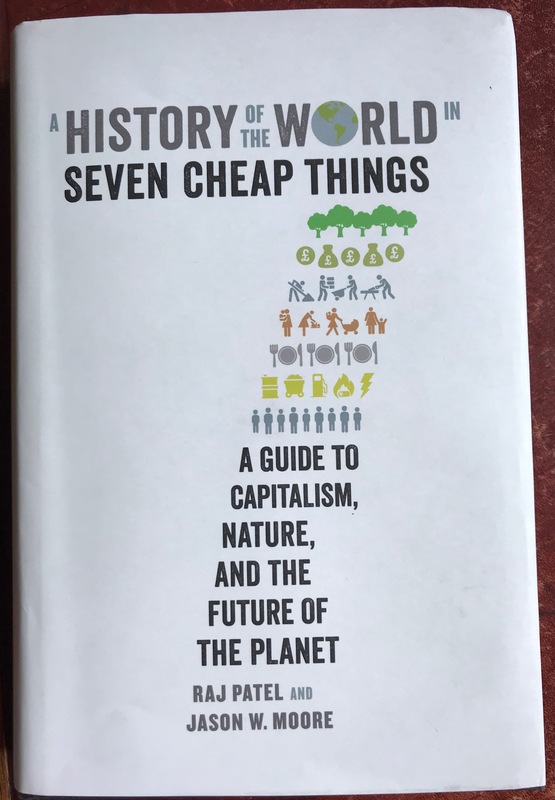 I’ll quote one poem that illustrates this to finish this post with, and before we move on next time to one last candidate waiting in the queue to explain her Everest of productivity in the Civil War years. I have already referred to this poem once in this sequence. It is a favourite of mine. 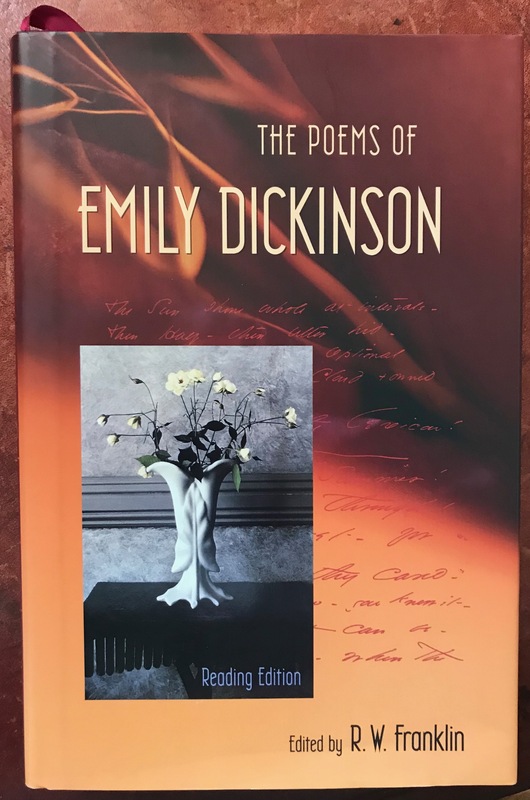 As a brilliant rendering of her inscape it is hard to match, so whatever facilitated the isolation that fostered it and which she shared with other writers – a repressive environment for women, agoraphobia, epilepsy, thwarted passion or war – the pain of it all engendered many poems like this. At times she celebrated that.